The Sheath Dress & Fabric Godmother – what a day! On a sunny Saturday morning I met 6 lovely ladies at Fabric Godmother to make the Sheath Dress. 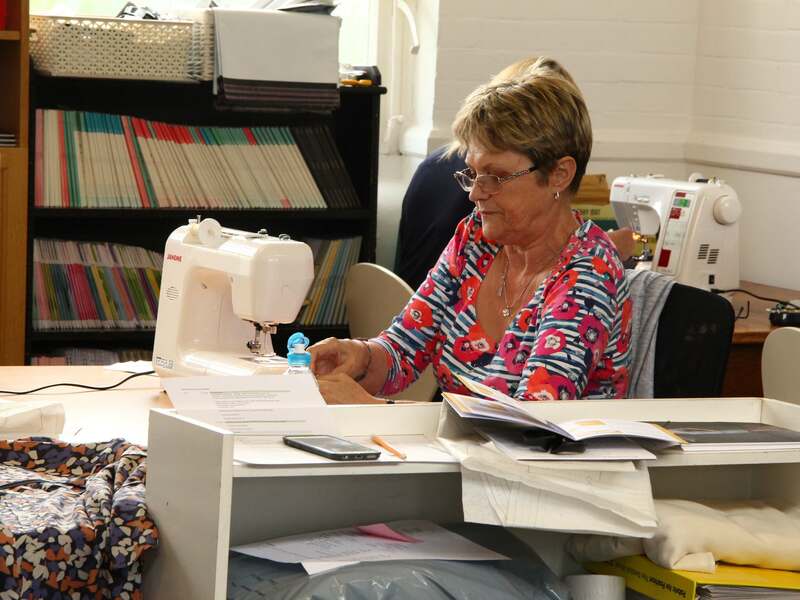 Armed with fabric, elastic, invisible zips and sewing machines there was soon a flurry of activity as we all got down to planning our dresses. Time flew as we went from measuring, grading, cutting to sewing! Josie, Fabric Godmother, kept us hydrated with cups of tea and biscuits! What a lovely group of ladies, everyone got on so well and it was so much fun to see how different each dress turned out with the various fabric choices. Me, looking all “seamstressy” (note measuring tape around neck for full effect!). Lynette, wearing one of her handmade dresses, tackling a stretch fabric! 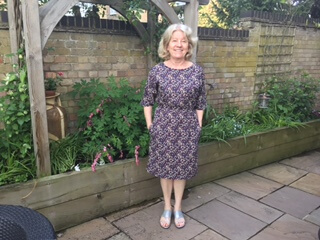 Patrica in her gorgeous dress – wonderful fabric choice! 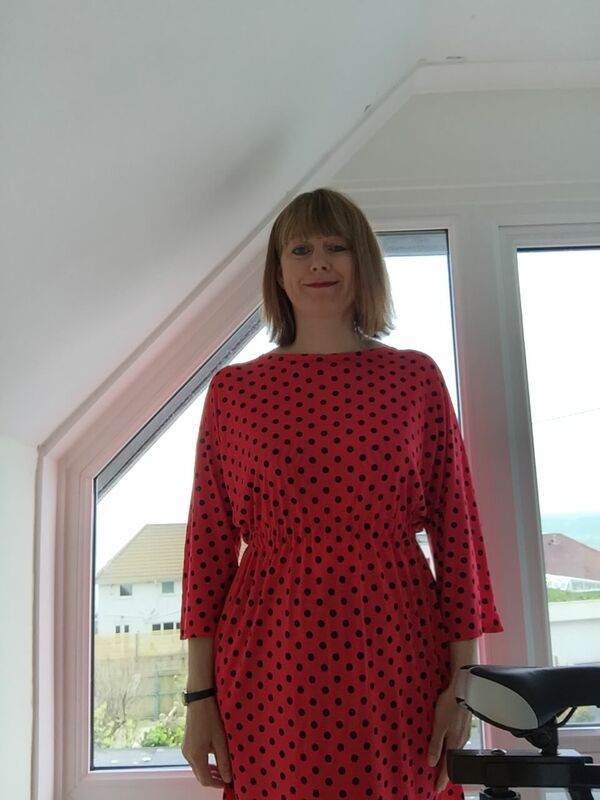 Corrina, who also make the sheath dress in a jersey, with her gorgeous spotty dress! Catherine, Helen, Lynette, Patricia, Melanie and Corrina – thank you for such a great day! Thank you Josie for hosting our workshop in your gorgeous studio. Hope to see you soon at another Fabric Godmother workshop!